My apartmentmate was in Athens, Ohio last weekend visiting a friend. When I found out she was going I asked her to pick up some Jackie O's for me. Upon arriving at her friend's, she texted me to find out what I wanted (specifically asking if I wanted a six pack or a growler). 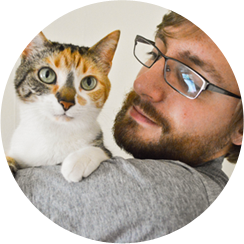 I responded with something along the lines of "Just get me Chomo. Whatever is cheapest and works best for you is fine by me." She bought a six pack out of the sheer goodness of her heart. I've saved that final can of that pack for today's post. Wanna know what I think about it? I've had a deep-seated love affair with Chomolungma since the first time I tried it. Before that I was a Firefly Amber Ale man (largely due to the fact that the first time I had it I was coming off of a Firefly kick). While Firefly's delicious, it has nothing on Chomo. My dad came to visit me in Athens once just shortly after Jackie O's cannery/taproom opened behind my house. In an attempt to find something to do I suggested we check it out. I saw on the board behind the bar that they had a honey nut brown ale. Intrigued, I ordered it, not knowing that it would immediately become my favorite of the brewery's offerings. Jackie O's is, as I've said before, Athens' premier brewery. Are they the only one? Yes, for now. But two more are slated to open this year and I can hardly contain my excitement to visit them and try their brews. Anyway, the place is an Athens institution. The majority of their ingredients come from a 100-mile radius of the city and their brews are consistently the highest rated in the state (and can usually be found ranked highly on best American microbrews lists). JackieOs.com has more information if you want it. Last November a fire blazed through uptown Athens wreaking havoc and damaging many buildings on Union Street. Among these was Jackie O's Public House. They've been plugging away at repairs (I had a drink at the Public House when I was last in town, a few months ago!) but it'll take some time yet until they're all patched up. In light of the event, it's astounding that Jackie O's didn't miss a single beat in beer production. 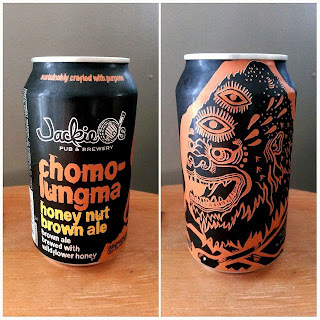 It's thanks to the optimism and sheer willpower of all those employed by the brewery that I'm able to enjoy this can of Chomolungma today, six months after the fire. And I am really enjoying the beer. I'm able to smell the sweetness from the wild flower honey emanating from the can. Beyond that, it has the typical nutty notes of a nut brown ale. But the honey scent is what makes the aroma stand out. 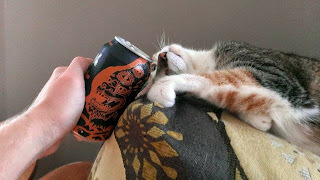 It garnered eight upside-down sniffs from Purrl, a new upside-down sniff record because, previously, upside-down Purrl beer-sniffs didn't exist. The honey sweetness is also present in the ale's flavor but it's balanced out by a slight bitterness. It has a nice roasted chocolatey taste that adds to the brew's tremendously warm character. Chomolungma can be enjoyed any time of the year, but it's particularly pleasing during the cooler months (late-October through early-March). The brew isn't fizzy at all. And yet it has a full thickness to it. It's almost molassesy, but calling it that would be an overstatement. Chomolungma reminds me of early morning cross country meets from when I was in high school. It'd usually be foggy and cloudy. Brown, red, and orange leaves would cling desperately to branches whenever a slender breeze would blow. The ground would be muddy from days of drenching rain. A chill would float on the air. You know, the exact opposite of the 80-something degree sunny day I'm currently experiencing. The ale has a 6.5% ABV kick, which may sneak up on consumers who have never had it before (hell, it got me my first time). 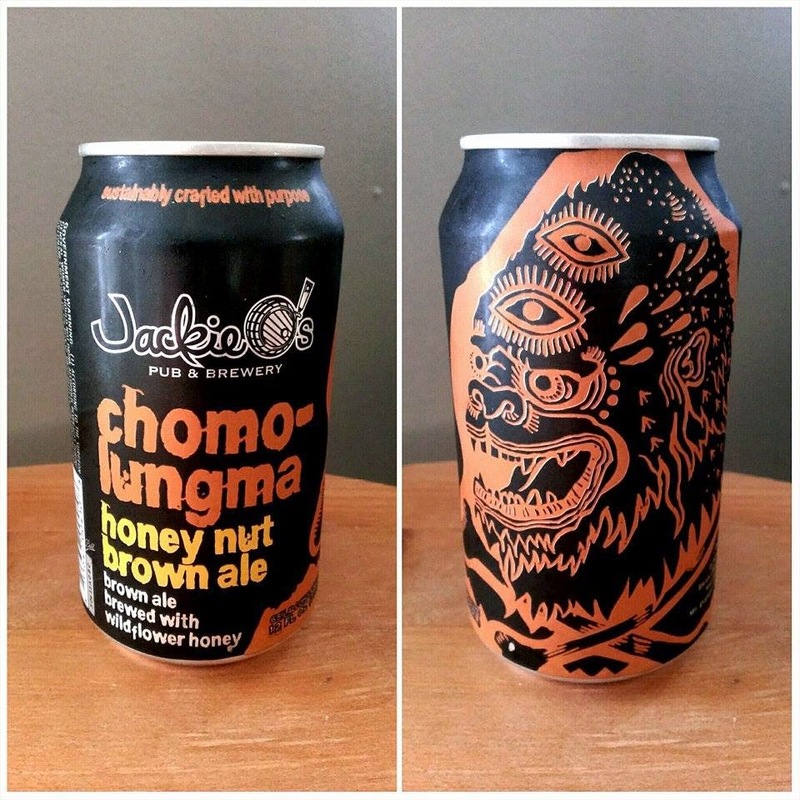 I've never thought that beer from a can is as good as it is straight from the tap, but that doesn't keep me from delighting in Jackie O's Chomolungma, which, by the way, earns a solid 9.0/10. Grab some at your local grocery or, better yet, head to Athens to try some fresh.